Us humans are pretty amazing creatures! One of the many things I get reminded of time and again through my work. Below left, Ethan & Noah, sleepily starting life outside the womb. And below right? A little over a year later, in all their curious, exploring, smiley, toothy glory!Watching their relationship to each other is such a fascinating treat.... I love their puff sharing/dropping/consuming antics below (definitely the snacks were a great motivator to keep them semi-still for a moment!) Here's the dashing Ethan, smiley as can be...... And Noah, enjoying a balmy December day, showing off an amazingly sweet little face..... Despite the chaos that comes with identical twins, their Mommy & Daddy keep lots of joy at the forefront, laughing about much of their currently very hectic life. 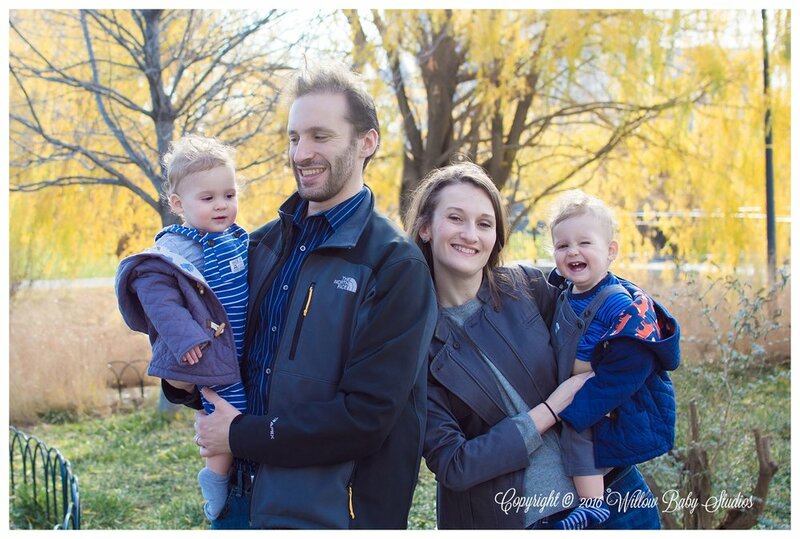 In honor of Henry & Nora turning one, their Momma wanted to have a family photo session. Despite it being one of the most humid days of the summer, we had a wonderful time eliciting smiles out of these two little explorers! Daddy needed little encouragement to kiss his lovely wife! (who claimed she knew little about fashion and then put together a wonderful wardrobe for her family!) Here's Momma with her little girl - such snuggly love!Daddy, who stays at home on kiddo duty, has quite the calming effect on his littles. 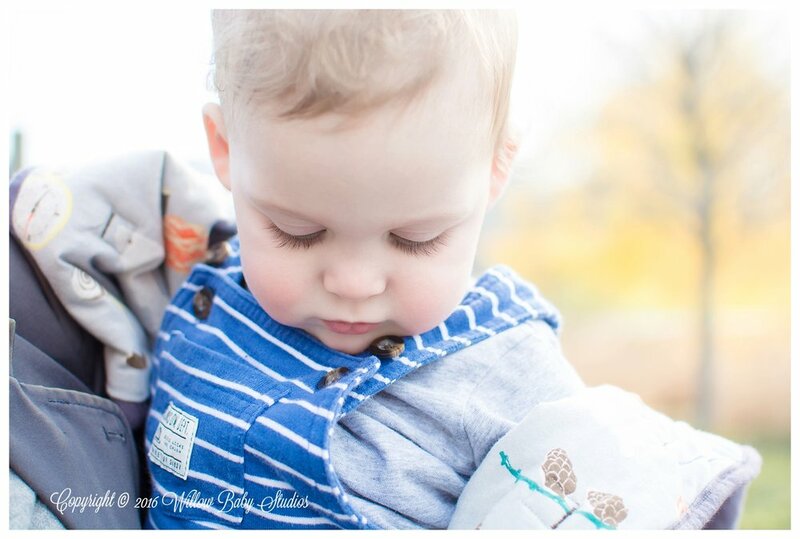 (And despite the fact that we were about to wrap up the session, and Henry and Nora were both feeling rather done, Momma got some cute little smiles out of them, dancing or goofing off behind me. )Kisses clearly had to be returned, which, again, needed little encouragement :-)Lastly, Henry, in a final burst of energy, wanted to end the session with high flying antics and huge smiles!Happy Birthday, Nora & Henry! Here's to another great year!! I had such a great time meeting all of you! Their momma emitted calm, so despite nearby construction noise, the master bedroom was quite peaceful. The boys snoozed to the relaxing sounds of classical (Christmas!) music, which was extra beautiful after not having heard it for months. Although she didn't join us for the photo shoot, canine big sister, Maggie, did let me get a few shots of her as she lay sunning in the study. 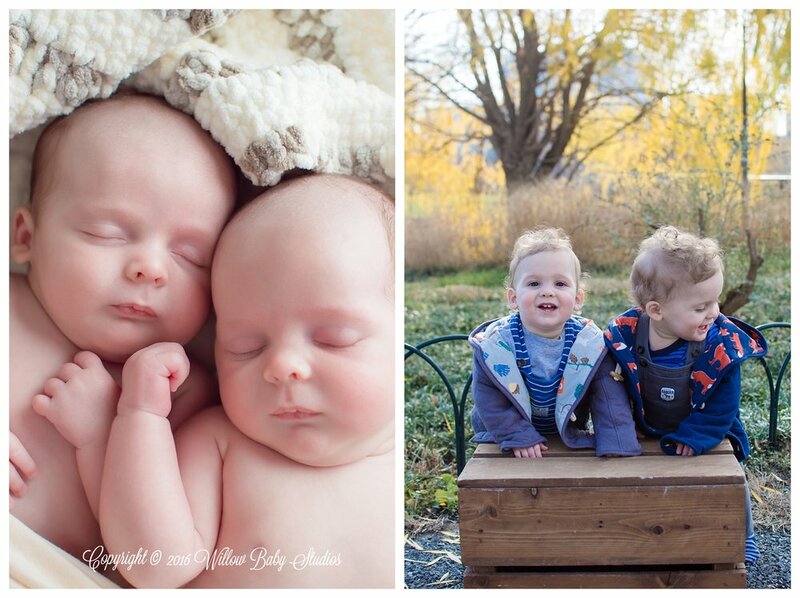 Welcome, Misters Jacob & Joshua! It was so wonderful photographing you two! A big congratulations to the whole family! Remember these two cuties? Just six months ago Ethan & Noah could been seen looking like this. And now, Misters Ethan, rocking the green dino overalls here, and Noah, with the anchors (his parents kindly told me to "think of Noah on the arc" to help save my sanity during the shoot!) are 6 months cuter, gigglier, chunkier and more adored by mommy & daddy. Watching the brothers interact was pretty entertaining, and quite sweet. Their dad told me that for a long time, he would just find them holding hands. Apparently they don't do it as much lately, but they were happy to indulge us when we asked really nicely. My morning with this family was a pretty big bundle of sweetness, interspersed with one bottle, a few mini naps, a whole ton of giggles, and lots of baby airplanes. I love this last shot of them, and I imagine Ethan saying, "Noah! What was your favorite part of the shoot? Wait, never mind, I think I'm going to teethe on your face!" Things can seem overwhelming the first season one goes to order spy apps for tablet. Likely the most vital aspect that is sometimes considered while thinking about http://spyapps.org/ is find a right software. A highly complex choice that someone can make is between various types of smartphone spy apps. Several of companies describe their software as Mobile Spy Reviews. Also, consider "spy app". Ordering the software can be challenging in this market. Happily, there are some of companies for you to opt where to purchase cellphone spying applications. Undoubtedly, the list is very big. Lastly, there are many reputable companies offering cellular phone spying applications to their clients.